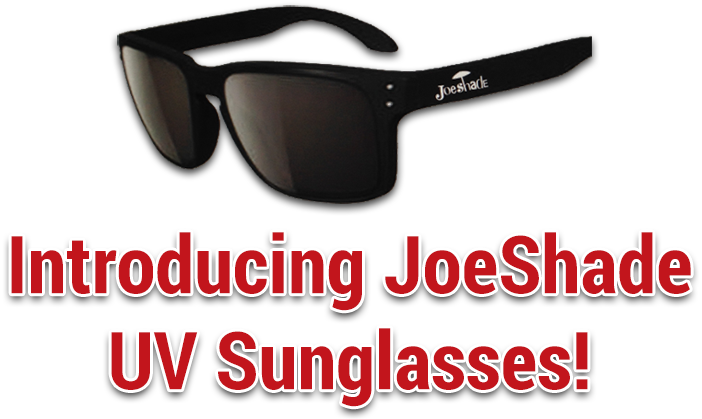 JoeShade® is pleased to announce its partnership with the Melanoma Research Foundation (MRF) to prevent melanoma, the deadliest form of skin cancer, by encouraging consumers to shade themselves from the sun with material resistant to UV rays. JoeShade, a company dedicated to promoting UV protection, produced a portable umbrella design that is unique in its sun safety features. The umbrella, built with sports enthusiasts and outdoor adventurers in mind, uses a special sun blocking fabric that shields users from UVA & UVB sunrays, which are linked to melanoma diagnoses. As part of its partnership with the MRF, JoeShade will donate a portion of the proceeds from the sale of its UV-shielding umbrellas to the MRF. Sun exposure and melanoma risks are often overlooked during outdoor activities. With prevention for this cancer hinging upon sun safety, JoeShade designed a portable sun-safe umbrella that will allow the whole family to safely spend time outdoors,” said Dave Shober, Inventor and President of JoeShade. JoeShade is pleased to partner with the MRF to further both organizations’ mutual goal of decreasing each member of the public’s risk of developing melanoma. Melanoma is one of the fastest growing cancers in the United States and can strike men and women of all ages, all races and skin types. With a one in 50 lifetime risk of developing melanoma, nearly 76,000 Americans are expected to be diagnosed with the disease in 2012, resulting in over 9,000 deaths. Melanoma is the most common form of cancer for young adults 25- to 29-years-old and the second most common cancer in adolescents and young adults 15- to 29-years-old. The majority of melanomas occur on the skin; in fact, melanoma is the most serious type of skin cancer. Melanoma can also occur in the eye (ocular, or uveal melanoma), in mucous membranes (mucosal melanoma), or even beneath fingernails or toenails. The Melanoma Research Foundation (MRF) is the largest independent, national organization devoted to melanoma in the United States. Committed to the support of medical research in finding effective treatments and eventually a cure for melanoma, the MRF also educates patients and physicians about prevention, diagnosis and the treatment of melanoma. The MRF is an active advocate for the melanoma community, helping to raise awareness of this disease and the need for a cure. The MRF’s website is the premier source for melanoma information seekers. More information is available at www.melanoma.org. JoeShade® is a registered trademark of MITS Partners, Inc.
Visit the JoeShade blog for fun, helpful tips for sun precaution.